Marilar Aleixandre is professor of experimental sciences at the University of Santiago de Compostela. She is the author of several collections of poetry and adult and young adult fiction. She has written four novels and a collection of short stories, Wolves on the Islands. Her novel Theory of Chaos received the Xerais Prize for best novel in 2001. Two poetry collections were awarded top prizes, including Mutations, a recreation of Ovid’s Metamorphoses written in the voices of women. 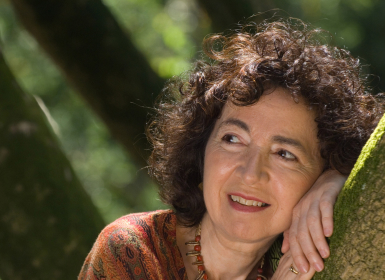 She has written several novels for young people, including Head of Medusa, and is the Galician translator of Harry Potter and the Philosopher’s Stone. The Knife in November (272 pages) is described by the Galician publisher as a novel, but it is really a collection of interconnected stories along the lines of Ovid’s Metamorphoses or the One Thousand and One Nights. Many of the stories are set during the time of Franco’s dictatorship and detail events from murder to fishing to getting caught in a snow storm. The result is a text that boasts a fluent narrative and evocative references.